CarZ, one of India’s most reputed multi-brand car repair and maintenance services company, announced the opening of its brands’ first Franchisee Owned Franchise Operated fully automated center in Bengaluru, Karnataka, under its strategic franchise partnership with Ultra Auto Crate, a very prominent name in the automobile sector in Bengaluru. 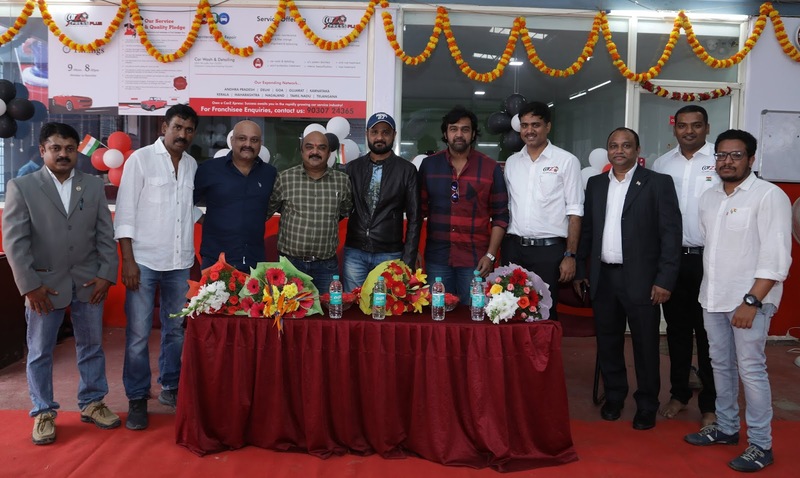 Chiranjeevi Sarja, Actor & Producer, Sandalwood Industry inaugurated the center. The facility, situated in Jayanti Nagar, Horamavu Village, Bengaluru, is spread across 9500 sq.ft, with 12 service bays with a capacity to service over 500 cars of various brands per month. As part of the partnership, CarZ will provide the service expertise and train the workforce on quality service, on-time delivery, procurement of quality & innovative service products, customer care supports, etc. CarZ currently has a network of 25 centers across the states of AP, Telangana. Karnataka, Tamil Nadu Kerala and Gujarat. "I am extremely excited and proud to be associated with CarZ, one of India's most reputed multi-brand car repair & servicing company and look forward to a strong and enduring partnership with the company”,“The modern features and technology at our center will give our customers a closer look at the process, and enable them to really understand what services they need and why they need them.” said Chiranjeevi Ashwatappa, Franchise Owner. “Our trained technicians coupled with CarZ's innovative car service products and differentiated offerings will provide great value to each and every car owner. Our goal is to build trust with our customers and help them maintain their car year-round with our tailor-made service packages for any vehicle; budget or requirement”, said Chandrashekara D, Franchise Owner. The Center is equipped with state-of-the-art equipment and will provide a range of services including routine and preventive maintenance, electrical & mechanical repair, Suspension System, AC diagnostics and service, tyres and services, battery, variety of styling and performance accessories, interior and exterior detailing, automated car wash and more. The centre also has an accident repair facility with latest Collision Repair System and Paint Booth. The centre will also offer value added services like 24x7 Roadside Assistance, Pre-owned Car Inspection, Insurance, Extended Warranty & Settling Bills Through Easy EMI payments provided by Bajaj Finserv.